Instant messaging is the hottest trend today and is followed by everyone who owns a smartphone. The best way to stay connected with your friends is through the instant messaging way and Whatsapp is considered to be the best chat app for this purpose. So here’s how you can download Whatsapp for iPhone or on your iPad and also the installation guide to help you download Whatsapp for Mac. Staying in touch with your friends and loved ones is the most difficult things in these busy days and as most of us now own a smartphone like iPhone, the task to stay connected, even though virtually is not tough. There are literally several chat messenger apps for iPhone and Android, but if you ask anyone which app they use the most then the answer would surely be Whatsapp. This is the most popular and simply the best app. So today we are going to share with you a link to download Whatsapp for iPhone and iPad so that you install it and stay connected always. Also if you don’t own an iPhone and you own a Mac, then we have shared a simple way to download and install Whatsapp for Mac as well. As all of us know that Whatsapp messenger is a smartphone messenger available for iPhone, iPad and mostly all other smartphones as well. The features are awesome and it helps us stay connected with our friends all the time. Here are some of the features of this awesome app. There’s no hidden cost. Once downloaded, you can add your details and start chatting with your friends. All it requires is a working Internet connection to run, so be sure that you are connected to Internet all the time. 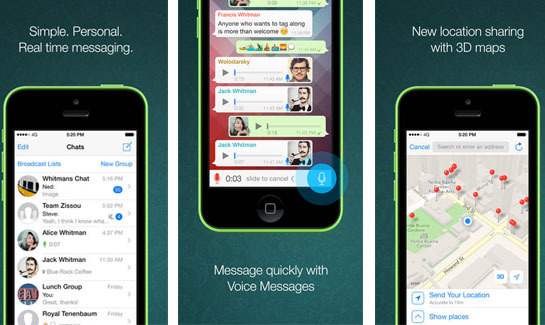 You can send images, videos, attachments, voice messages and text messages using Whatsapp for iPhone. No Pins or username required in this app. Your phone number is your identity and as long as you are in someone’s phone book or you have some one is your phone book, you can chat with them. You can group chat with up to 50 friends at a time by creating a group and adding your friends in it. You are always logged in so there is no need to login or logout from the app. You can share your location, add custom wallpapers, custom notification sound and much more with Whatsapp messenger. Download Whatsapp for iPhone, iPad Now! So without much delay, we are going to share with you the link to download Whatsapp on your iPhone or iPad. The link is official so don’t worry about any malware or threat entering your smartphone. You can go to the above link directly from your iPhone or iPad and install the messenger directly from the store. If you don’t own an iPhone, then we have a way with which you can download Whatsapp for Mac as well. How to Download Whatsapp for Mac? 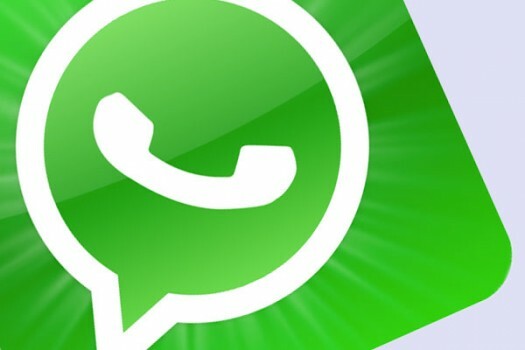 To download Whatsapp on your Mac, you need to download an emulator software first on your system and install it. Here are the exact steps that you need to follow in order to get the messenger app on your Mac. Once downloaded, install it on your system. Now open Bluestacks and there you will see a search bar. Type in “Whatsapp” and hit enter. You will get the search results for Whatsapp. Install Whatsapp from the results. It will take a few minutes to complete the installation process. You have now successfully installed Whatsapp for Mac. You can find it in the “My Apps” section in Bluestacks. How You Can Use Whatsapp for Mac? By following the steps above, you now have Whatsapp messenger installed on your Mac and ready to be used. You can access the app from the My Apps section in Bluestacks application. Launch the app and enter your phone number, verify it, sync your contacts with it to see how many of your friends use Whatsapp and start chatting with them. That was the easiest guide on how to download Whatsapp for Mac. I hope that you liked the entire article. If you loved it, then please do share the article about Whatsapp for iPhone and iPad with your friends as well and let them also know about it!